Alaska Poncho | Oh Sarah O ! I'd been familiar with the Wool and the Gang (WATG) yarn brand for awhile, but it wasn't until I attended the 2014 Handmade Fair and actually got to meet the gang at the Shopper's Market and touch the yarn, that I decided that I needed to give them a try. Last winter I purchased their Alaska Poncho knit kit to spruce up my winter wardrobe. I was able to select and customize what colors I wanted for the poncho online (I decided to go with the same colors seen on the example) and my kit came with 9 skeins of yarn, the pattern and a sewing needle, plus I had the option to get the knitting needles required if I didn't have them already. Not only was I impressed with the packaging of the knit kit and how everything was included, I was also really impressed with the quality and softness of the yarn- Sugar Baby Alpaca. Once I started knitting this poncho, I knew it would become the type of clothing article I would never want to take off. The pattern was super simple (basically a giant rectangle seamed at an angle, and while I knit it up in just a few days, I didn't get around to weaving in the loose tails until July. 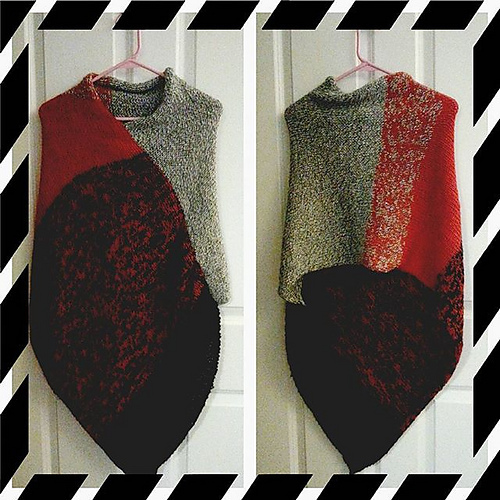 I am thrilled with how this poncho turned out and I can't wait for the weather to cool down so I can wear it. I'd definitely consider trying another knit kit again. 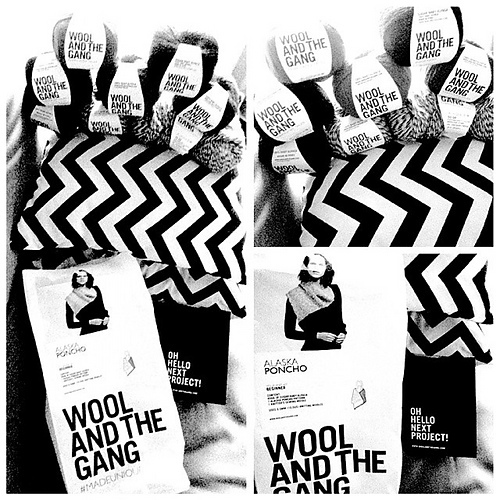 Have you knit anything from WATG? What did you knit and what did you think? Let me know in the comments below.